where can I order aluminum parts for the sprint 2? I notice that it's hard to find one nowadays. 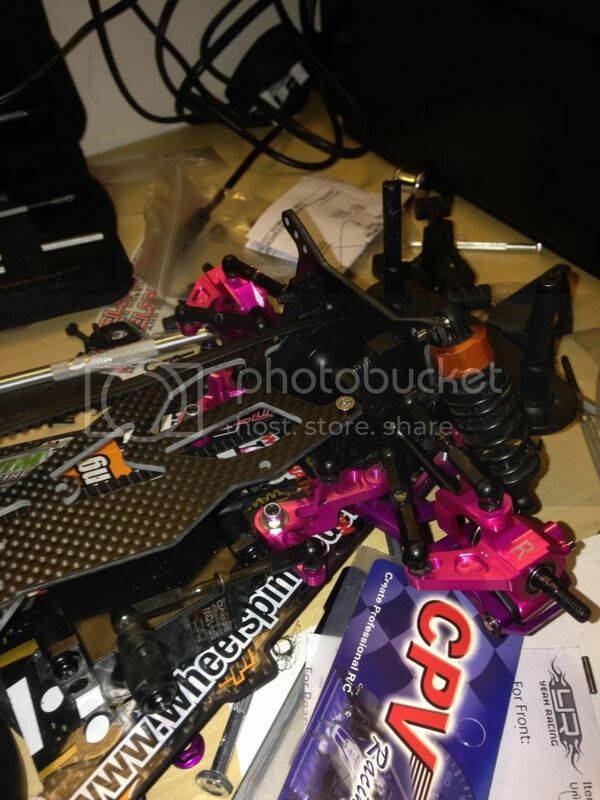 (03-15-2014, 12:41 PM)gieo07 Wrote: where can I order aluminum parts for the sprint 2? I notice that it's hard to find one nowadays. Happy to see multiple people have done this front end conversion. I'll be ordering the plastic parts this weekend to do it on my Sprint 2. Well the blog doesn't work or just not on a phone. I plan on doing the D3 steering conversion but wanted to know if you have to cut/mod anything? Also on eBay you can find 80 degree CVD's that are adjustable in length. Probably gonna order them to see if they fit/work. Afro talks about not needing any toe in the rear and how to fix that by putting front a-arm in the rear. Great idea but I found another way. If you take the 2 degree rear knuckles and install them on opposite sides, as in the L on the R and the R on the L, it pretty much eliminate the rear toe. You will have a slight toe out but it's not 2 degrees! 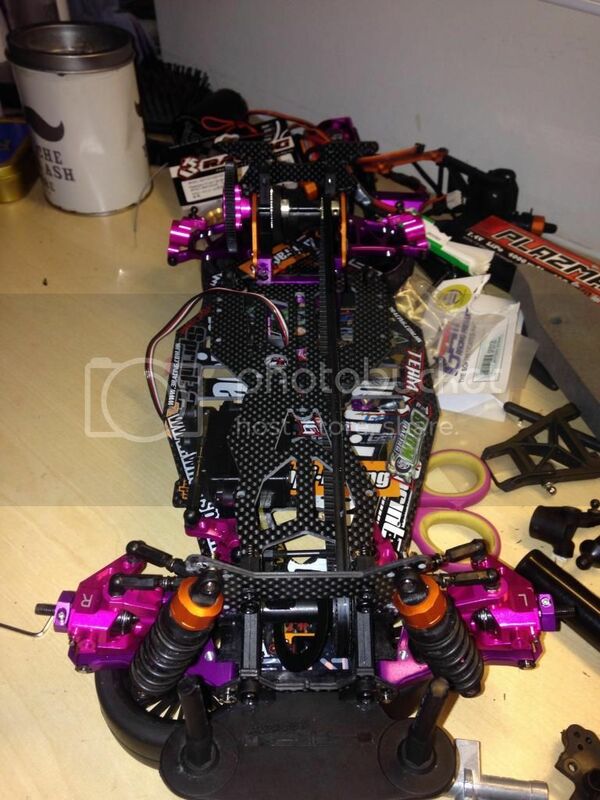 (03-03-2014, 07:55 PM)g4mb17 Wrote: I did the Sakura steering swap on my sprint 2, that gave me some great angle. I have been looking at the sakura parts thinking I could make those work pretty easily, and you saying it makes me want to try it even more. Do you have a build thread? I would love to see your setup. I have been figuring I could order the plastic parts, then if it works with out much modding to the Sakura parts I could order the metal parts later. using the 3mm on the inside of the knuckles - but maybe that is just me. That looks great to me, I can not wait to see it after an alignment! I can see going this route with my car in the future. 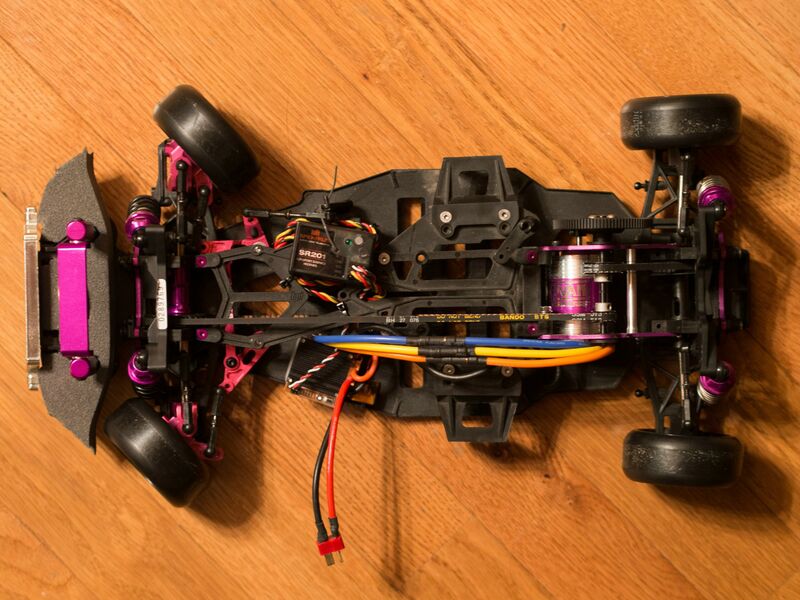 needs lots of tuning, and I'm not sure about the ESC - but really liking the front end. (03-04-2014, 02:37 AM)Boorito Wrote: I have been looking at the sakura parts thinking I could make those work pretty easily, and you saying it makes me want to try it even more. Do you have a build thread? I would love to see your setup. I have been figuring I could order the plastic parts, then if it works with out much modding to the Sakura parts I could order the metal parts later.